First up is this light pink gingham button-down shirt I purchased from J.Crew Factory about a year ago. 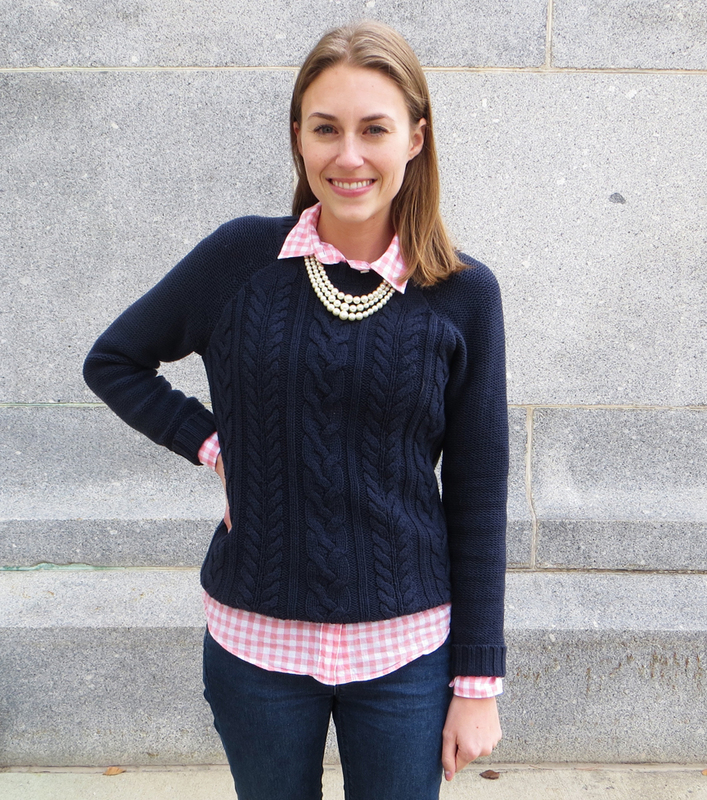 It's a super fun piece to wear in the spring and summer because of the color; normally in the fall and winter, you see more black or navy ginghams. It's a very lightweight shirt, which is great in summer heat. However, this also makes it conducive to layering in the fall/winter because it doesn't feel too bulky under sweaters like most other cool-weather button-downs do. 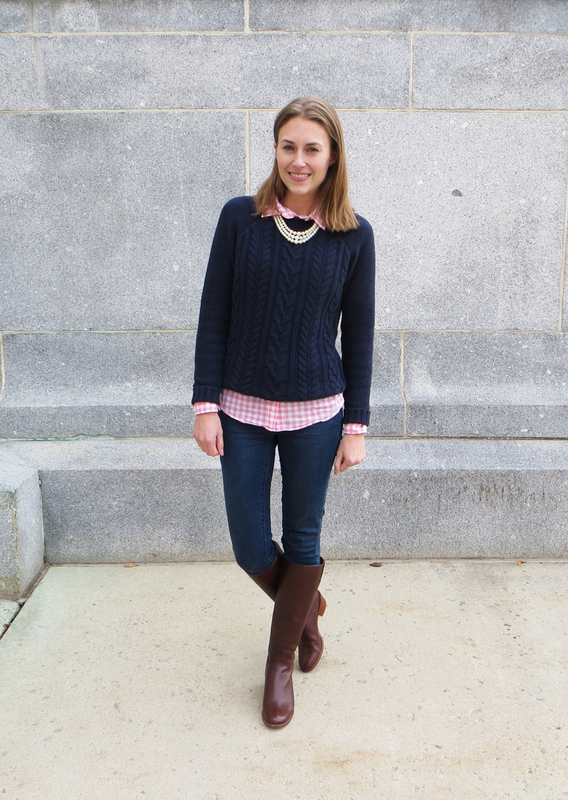 I layered it under my navy sweater and decided to go as preppy as possible with the addition of the pearl necklace and tall boots. 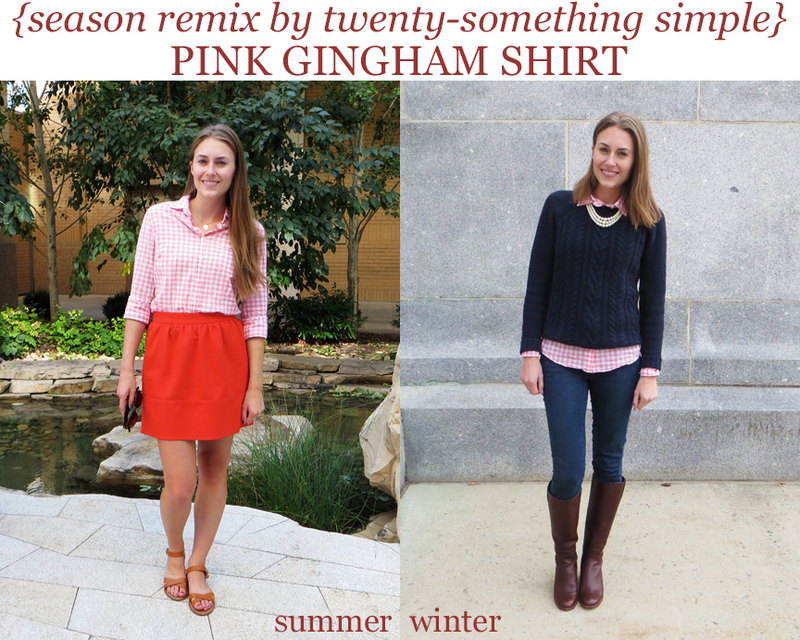 I'd love to hear how you'd style a pink gingham shirt for the fall/winter! Click here to see the original post for the summer outfit!